Thank you, Internet (and Nick Olsen), for introducing me to The Setter from Cowtan and Tout. I'm not really into dogs (I know, I know...sorry) but I can get on board with dogs on fabric. 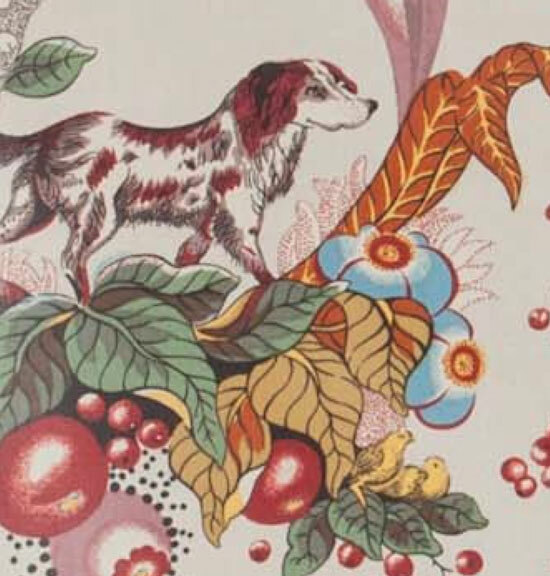 Though it has to be a pretty great textile for me to want to use it at the risk of feeling like a poser dog lover. Because a lover of dogs, I am not. I think I already said that. There is so much to love in this one. The combination of colors, the tight pattern, and the little black dots that emanate from one of the buds - it's all just ridiculously good and Nick's use of red piping completely puts it over the edge. I want that fabric! Both! Just wonderful. 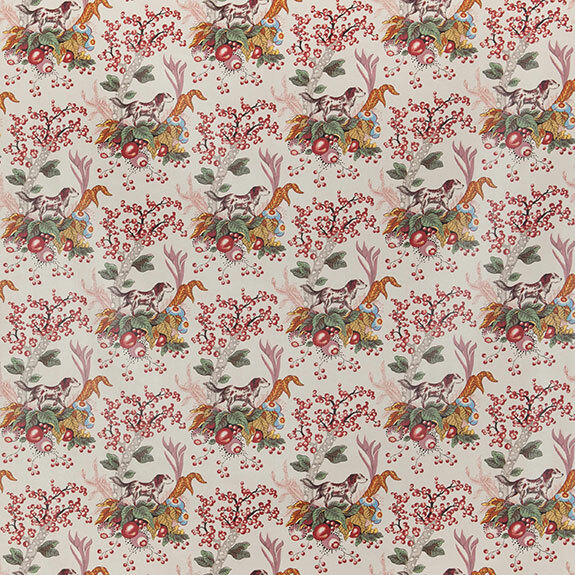 I've had this fabric on my two living room sofas for about 14 years… during which most of the world was "so over" chintz. 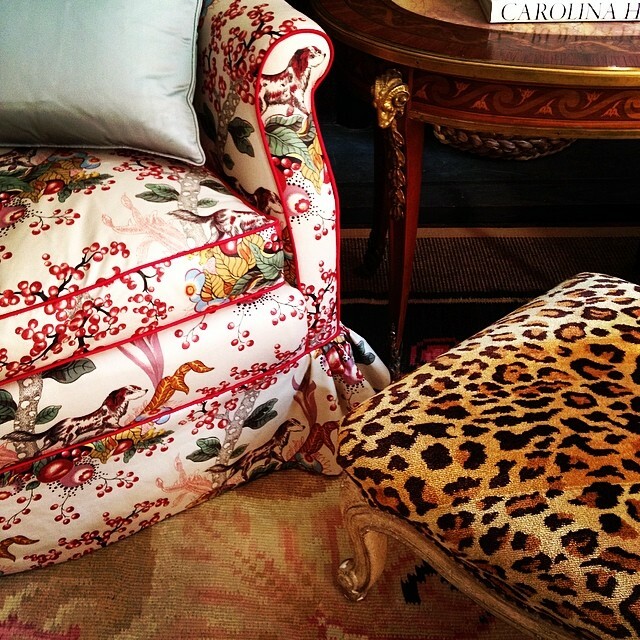 I just can't seem to tire of this gorgeous fabric, and it wears like iron -- 3 spaniels have also lived with this fabric!